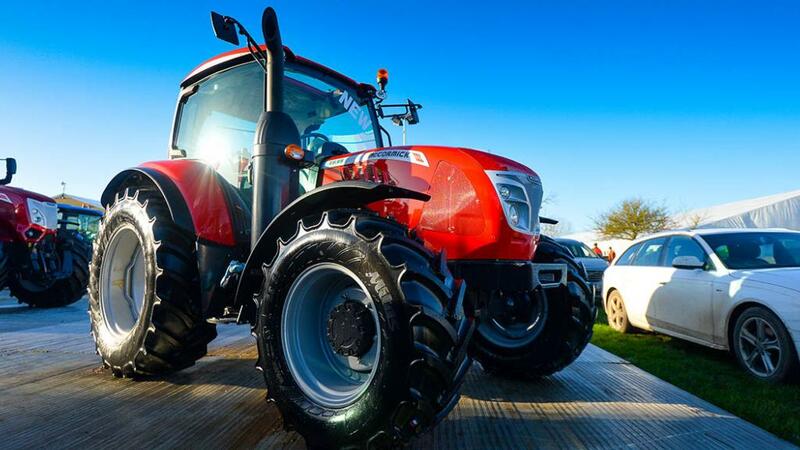 Featuring close to 1,000 exhibitors showcasing everything from grease guns to combines, this week’s Lamma show was the place to be to see all the latest farm machinery and technology developments. Jane Carley, Geoff Ashcroft, Richard Bradley and James Rickard report. Pictures by Marcello Garbagnoli and John Eveson. Austrian engineering firm Kneidinger provides reverse drive conversions for Case IH’s Optum, Puma and Maxxum models. Moving to reverse drive, a quick release steering wheel is pulled from the steering column, for use at the rear. The seat rotates clockwise, taking the armest and control terminal with it. A scalloped right-hand inner wing eases the transition and makes the most of available cab space. With the seat secured and steering wheel refitted, the operator has access to replicated controls in the rear of the cab. A secondary display in the rear B-post provides data on temperatures and pressures. The conversion happens mid-way through the build process, with tractors coming off the St Valentin production line and moving next door to Kneidinger, before heading back to the factory to complete the build. Expect the reverse drive conversion to add £8,000 to the cost of the tractor. 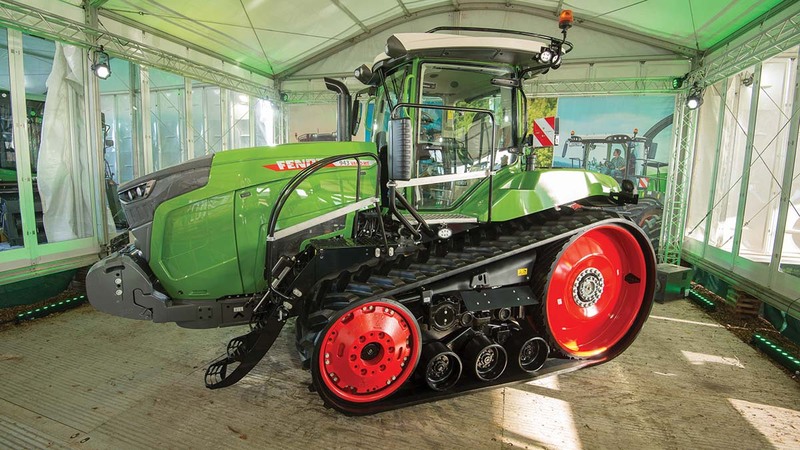 Getting its hugely anticipated UK debut, Fendt showed off its new range of tracked tractors. These are the result of the absorption of Challenger products into the German brand, following Agco’s decision to stop offering Challenger-branded equipment in Europe. As before, two ranges of tracked tractors will be available; the larger four-model 1100MT range, from 492 to 646hp; and the smaller three-model 900 Vario MT, from 380 to 430hp. While larger models only get a new paint job, smaller models get a continuously variable transmission and a push type cooling package, as developed for the wheeled 1000 Series, and a heavy re-designed undercarriage. The new tracked 900 Vario MT will overlap with the top end of the wheeled 900 Vario Series and the bottom end of the 1000 Vario Series, while the tracked 1100MT will overlap with the top end of the Vario 1000 Series and beyond. Back by popular demand, Deutz-Fahr used the event to launch new versions of its limited edition Warrior tractors. Two Warrior models will be available from the current 7 and 9 Series tractor ranges; the 336hp 9340 TTV and the 246hp 7250 TTV. Externally, the limited edition models feature a special black paint job, stainless steel exhaust cover, high-spec LED lighting package and gold Warrior lettering. In-cab sees Deutz-Fahr’s premium Evolution Active seat, automatic air conditioning and mat black floor mat included in the top-end package. The 7250 TTV Warrior also gets an additional double glazed lower rear window and an illuminated, external control panel on the rear wing. Sharing much of its underpinnings with Massey Ferguson’s Global Series, Valtra showed its latest A Series. The fourth generation of the Finnish firm’s smallest tractor range comprises seven models from 75-130hp, with three differing chassis sizes. Depending on model, power for the A Series comes from a 3.3-litre, three-cylinder, or a 4.4l, four cylinder Agco Power engine. For simplicity, Agco’s own two-range, six speed mechanical transmission is fitted, which boasts 40kph top speed and an electronic power shuttle as standard. Hydraulic output ranges from 65-98 litres per minute, model dependant, and up to three spools can be fitted at the rear. For additional flexibility, Quickie’s Q Series loader can be fitted from the factory, which benefits from armrest-mounted electronic joystick control. A panoramic sunroof is also available as an option. Available now, prices for the range start from £45,000. Along with its striking take on a futuristic, methane-powered tractor, New Holland also had more modest tractor developments on its stand including revised long wheelbase T7 models. Aiming to ease the operator’s work load, a new front axle design features re-shaped geometry, low friction hub bearings and a new hydraulic steering unit with self-centring capability. In addition, the front axle suspension has also been tweaked. Featuring a new control valve with dual accumulators, the new suspension mechanism is claimed to reduce chassis vibration by 11 per cent over the existing design. It now also gets an improved self-levelling system which momentarily stiffens the suspension during braking, acceleration or when the three point linkage is operated. As for steering, 2018 will see the firm’s new CustomSteer option become available, which can be used to vary the steering ratio. For safety at high speeds any chosen custom ratio is gradually dialled out as speed increases, up to 26kph - slow the tractor down and CustomSteer will automatically re-engage. Expanding its X6 range of tractors, McCormick has added three new models from 110 to 126hp. These slot in under the current X6 range, which will now be called X6.4. Using the cab of the X5 and the transmission of the current X6, the aim was to create a more compact tractor, says the company. Power for the new models comes from a 3.6-litre, four-cylinder Deutz engine. Rear linkage lift capacity is 6,000kg, while an optional front linkage can handle 2,250kg. 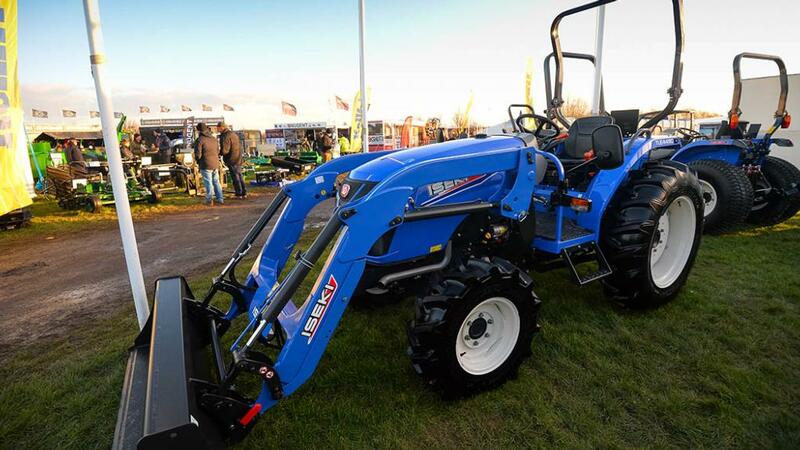 Iseki has established a UK subsidiary to distribute its compact and utility tractors, which will add new dealers to the existing network built up by previous importer Ransomes Jacobsen. Ranges are from 16 to 65hp, and all are homologated to the forthcoming mother regulations. 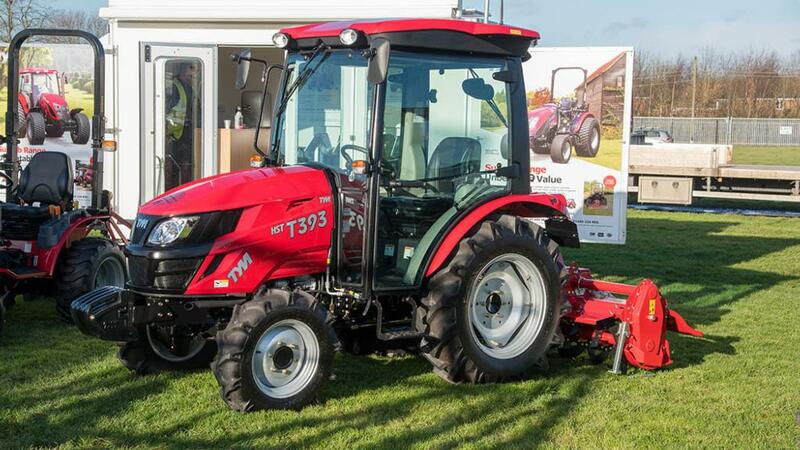 The 38hp TLE 3400 was supplied to Harper Adams University for the Hands Free Hectare project and Iseki UK has been confirmed as a sponsor for the second year of the research; the company says that although it is established in the golf and groundcare markets, more tractors are now sold into agricultural than on turf tyres. Lynx Engineering has introduced a range of hydraulically operated push-back hitches for John Deere’s new 5R Series tractor, the new T5 Utility tractor from New Holland and the new Farmall C HD model range from Case IH, as an alternative to the standard drop down hitch. Lynx says that the push-back hitch offers improved visibility of the hook and trailer ring from the cab for easier swapping of implements. The low-profile Dromone design is also said to offer improved ground clearance. 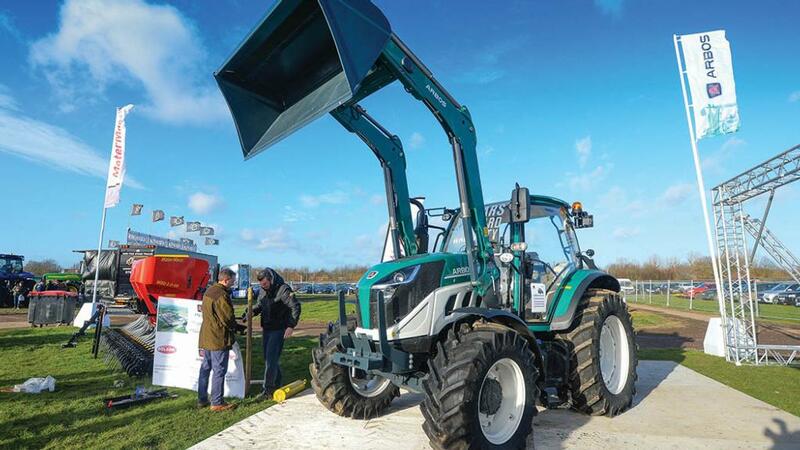 The Lovol Arbos Group encompasses drill manufacturer Matermacc and tractor makers Arbos and Goldoni, with the tractors making their UK debut at Lamma. Initial offering is the 5000 series which features four-cylinder Kohler engines of 110, 122, and 136hp and 30 by 30 or 45 by 15 speed powershift transmissions. A four pillar cab offers decent all round visibility, says the firm, and a 4,400kg lift linkage with 110l/min hydraulic capacity. 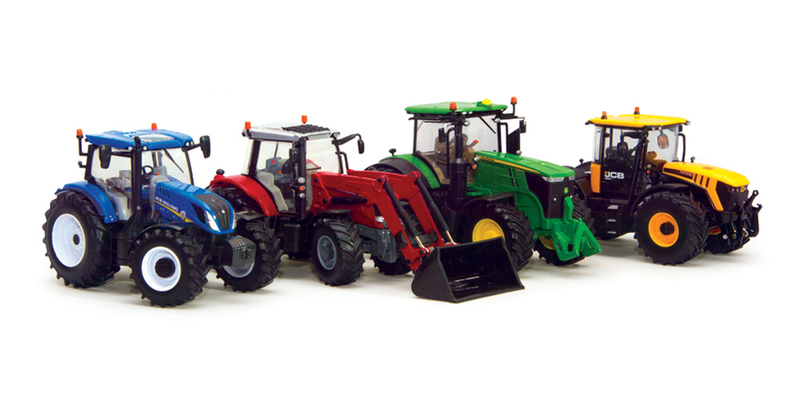 In the pipeline are 6000 and 7000 Series tractors taking the power band up to 200hp and 270hp respectively. 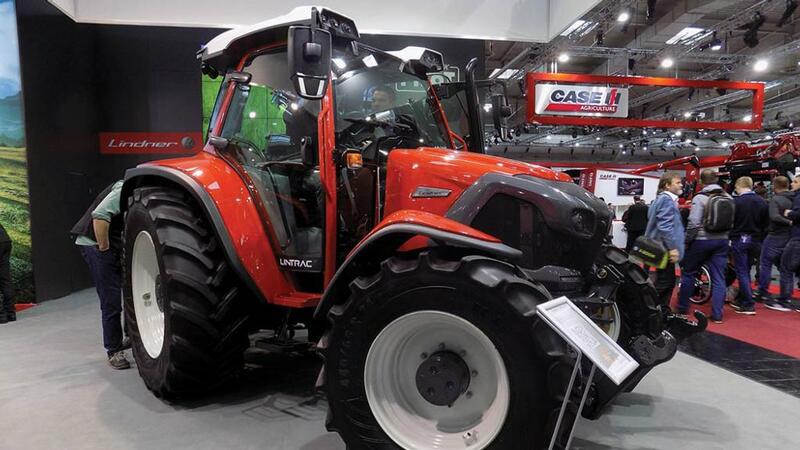 Following the Austrian company’s debut at Lamma 2017, Lindner sought views from potential UK dealers as to the demand for its four-wheel steer, CVT tractor. The result is a more powerful Lintrac model, the 113hp Lintrac 110, which can accommodate 34 inch wheels and is more suited to a range of tasks. Similarly, a 113hp model has been added to the powershift transmission Geotrac range. David Lindner suggests that while larger farms may have the Lintrac as second power unit, it is sufficiently versatile to be the main tractor on dairy or mixed units, and in combination with a loader, can replace a telehandler. Weighing in at 4,370kg, it also meets the need for a lightweight unit to reduce ground pressure. 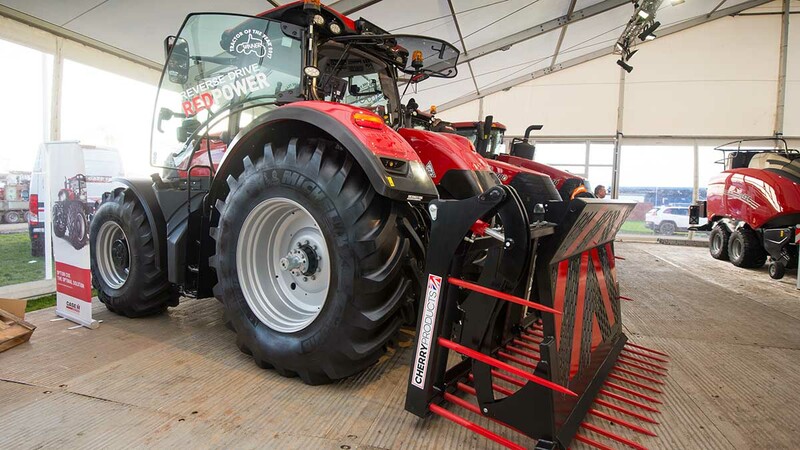 Lindner has also signed an agreement with German manufacturer Hauer, and offers a co-branded loader for its tractor ranges. 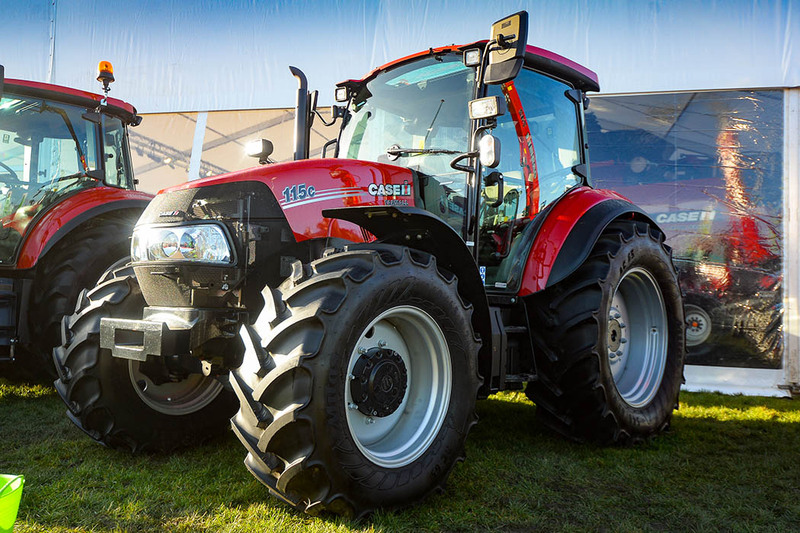 Featuring capacity, transmission and control updates, Case IH has updated its seven model Farmall C tractor series, ranging from 58hp to 114hp. Tractors fitted with a front linkage and the top-specification 24 by 24 transmission with electro-hydraulic power-shuttle can now be specified with the firm’s Multicontroller joystick/armrest. Other improvements include the option of heavy duty axles on models of 86hp and over, a constant speed engine function and true 40kph top speed 2,000 engine rpm (300rpm lower than before) to reduce fuel consumption, engine wear and in-cab sound levels. New Farmall Cs also feature 540/540E/1000 rpm pto options and can be ordered loader-ready, incorporating a sub-frame, hydraulic connections and joystick. Filling out its South Korean-made TYM tractor range, Reesink Turfcare showed its latest model at the event, the compact T393. Bridging the gap between the firm’s compact utility range and its mid-duty range, the T393 features a 38hp Yanmar engine. Two transmission options are available; a 12 by 12 gearbox or a three-range hydrostatic transmission (HST). The latter comes with a new automatic throttle function, linking the HST pedals to the engine throttle to synchronise the tractor’s speed and engine rpm. 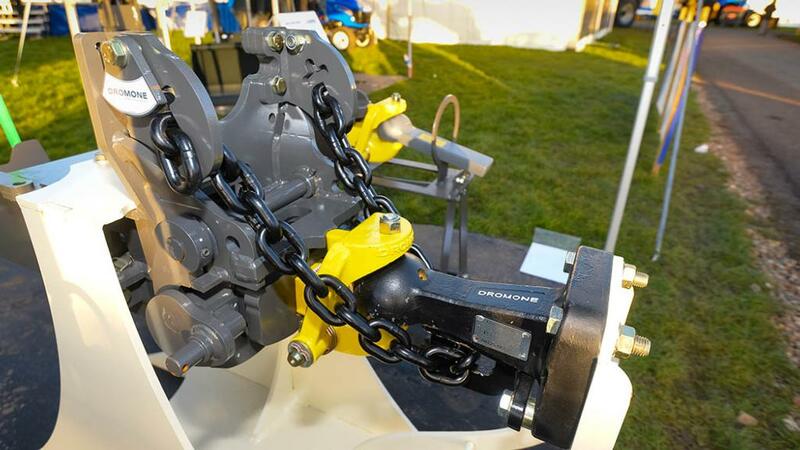 This, says the manufacturer, simplifies tractor operation and reduces fuel consumption. At the rear, linkage lift capacity is 1,200kg and it has a hydraulic flow rate of 42 litres per minute. For protection, either front/rear-mounted ROPS can be specified or a cab.